Place and date: Lees Mills, VA, 16 Apr 1862. Born: Salisbury, NH, 2 Aug 1832. Date of Issue: 17 Aug 1891. Citation: Gallantly led his Co. across a wide, deep creek, drove the enemy from the rifle pits, which were within 2 yards of the farther bank, and remained at the head of his men until a second time severely wounded. 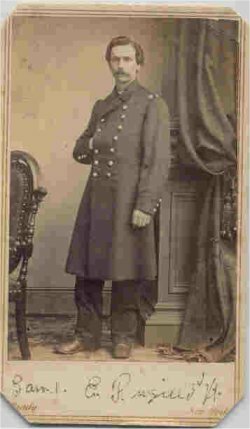 Pingree, Samuel E., of Hartford, son of Stephen and Judith (True) Pingree, was born in Salisbury, N. H., August 2, 1832. Moses Pengre, his earliest American ancestor, was the proprietor of salt works in Ipswich as early as 1652, was selectman of that town, deacon of the First Church, and deputy of the general court in 1665, and from this worthy, Samuel E. Pingree is the sixth in lineal descent. After the usual preliminary studies pursued in the academies at Andover (N. H.) and McIndoes Falls, he entered Dartmouth College, from which he graduated in 1857. Selecting the profession of law, he studied in the office of Hon. A. P. Hunton of Bethel, and was admitted to the bar of Windsor county at the December term of 1859, after which admission he began to practice at Hartford with fair prospects of success. At this juncture the war for the preservation of the Union commenced, and Mr. Pingree promptly responded to President Lincoln's call for troops by enlisting as private in Co. F, 3d Regt. Vt. Vols., and was soon chosen 1st lieutenant of that organization. In August, 1861, he was promoted to captain, commissioned major 27th of September, 1862, for meritorious conduct, and finally received the grade of lieutenant-colonel on the 15th of January, 1863. In his first important engagement, that of Lee's Mills, Va., he was severely wounded and confined for ten weeks in hospital at Philadelphia, but returned to his command immediately upon his recovery, and was present in most of the important battles in which the Army of the Potomac was engaged. In the second day's battle of the Wilderness, Lieutenant-Colonel Pingree was placed in command of the famous 2d Vt. Regt. 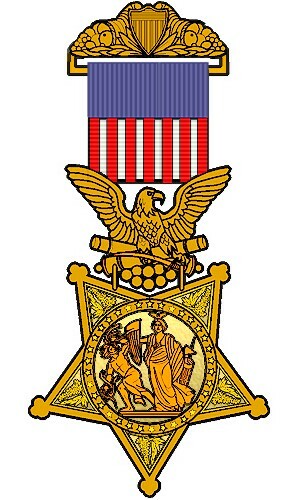 (all the field officers of that regiment having been killed or wounded), and this honorable position he retained until that organization was mustered out of the U. S. service. After participating in the battles of Spotsylvania Court House, North Anna River, Cold Harbor, Petersburg, and in the sanguinary struggle for the possession of the Weldon R. R., in which last affair he narrowly escaped capture with a portion of his command, he concluded his military service by assisting in repulsing the movement of General Early on Washington, arriving with his comrades of the 6th Corps just in time to save the capital of the nation from destruction. He was honorably mustered out of service July 27, 1864. 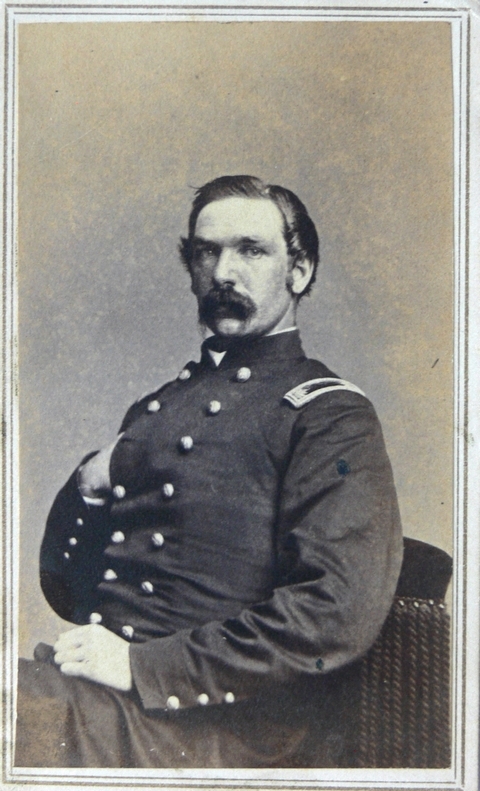 After his return to civil life Colonel Pingree resumed the practice of his profession at Hartford. In 1868 '69 he was state's attorney for Windsor county and during his term of office Hiram Miller was indicted and tried for the murder of Mr. and Mrs. Gowan, and it was chiefly owing to the careful preparation and the efficiency with which Colonel Pingree conducted the prosecution that the accused criminal was duly convicted and suffered the extreme penalty of the law. Though not an office seeker Colonel Pingree has never shunned responsibilities of official position. He has been town clerk of Hartford for thirty-four years, less the time he was in the war, and in 1868 was chosen delegate-at-large to the national Republican convention at Chicago. Two years subsequently he was made president of the Reunion Society of Vermont Officers, before the members of which association he delivered an excellent and scholarly address in 1872. In the fall election of 1882 Colonel Pingree was chosen Lieutenant-Governor of the state by the Republicans, his popularity being indicated by the fact that his vote was the largest of any cast for the state officials and two years later his merit was still farther recognized by his election to the office of Governor. His administration was characterized by the same efficiency and zeal which he has ever displayed as soldier, lawyer and citizen. Upon the establishing of a state railway commission ex-Governor Pingree was appointed chairman of the board, in which position he is now serving. Governor Pingree was married Sept. 15, 1869, to Lydia M., daughter of Sanford and Mary (Hinman) Steele, of Stanstead, P. Q. Source: Jacob G. Ullery, compiler, Men of Vermont: An Illustrated Biographical History of Vermonters and Sons of Vermont, (Transcript Publishing Company, Brattleboro, VT, 1894), Part II, pp. 315. Source: Bennington Banner, 2 June 1922. Longest Period of Service in History of New England. White River Junction, June 2 - Ex-Gov. Samuel Everett Pingree, aged 89, died at his home in Hartford about 9 o'clock yesterday morning, following an illness of about three weeks, due chiefly to his age. For over 60 years he was town clerk of Hartford, and was the oldest person to hold this office in New England, both in age and service. With the passing of Col. Pingree, this leaves Capt. Horace French of West Lebanon, the sole survivor of commissioned officers of Company F, 3rd Vermont Regiment. In 1898, Mr. Pingree received an honorary degree of LLD. from Norwich University. The deceased is survived by his wife, Lydia M., an adopted son, William S., assistant town clerk, and two grandchildren. Funeral services will be held Sunday afternoon at 5 o'clock at the late home, Rev. Robert Hesseltine, pastor of the local M. E. church will officiate, assisted by Rev, Seymour H. Smith of Quechee. Interment will be in the family lot at Hartford cemetery. 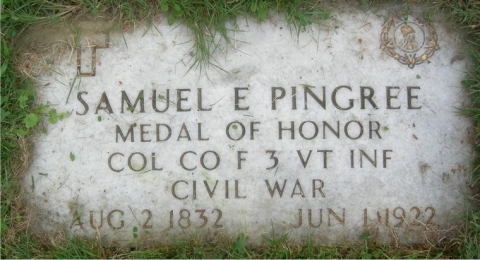 Samuel E. Pingree, son of Stephen and Judith Pingree, was born in Salisbury, N.H., August 2, 1832. After the usual preliminary studies pursued in the academies at Andover, N.H., and McIndoes Falls, Vt, he entered Dartmouth college, from which he graduated in 1857. Selecting the profession of law, he studied in the office of Hon. A.P. Hunton of Bethel, and was admitted to the bar in 1859, after which admission he began to practice at Hartford - with fair prospects of success. At this juncture the war for the preservation of the union commenced, and Mr. Pingree promptly responded to President Lincoln's call for troops by enlisting as private in Co. F, 3d Regt. Vt. Vols., and was promoted to Captain, commissioned major 27th of September, 1862, for meritorious conduct, and finally received the grade of lieutenant colonel on the 15th of January, 1863. In his first important engagement, that of Lee's Mills, Va., he was severely wounded and confined for ten weeks in hospital at Philadelphia, but returned to his command immediately upon recovery, and was present in most of the important battles in which the Army of the Potomac was engaged. He was honorably mustered out of service July 27, 1864. After his return to civil life Colonel Pingree resumed the practice of his profession at Hartford. He had been town clerk of Hartford for years, less the time he was in the war, and in 1868 was chosen delegate-at-large to the national Republican convention at Chicago. In the fall election of 1882 Colonel Pingree was chosen Lieutenant Governor and two years later was elected Governor. 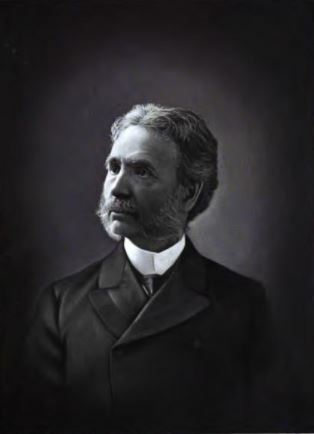 Upon the establishing of a state railway commission ex-governor Pingree was appointed chairman of the board, in which position he served from 1886 to 1894. Governor Pingree was married September 15, 1869 to Lydia M., daughter of Sanford and Mary (Hinman) Steele, of Stanford, PQ. 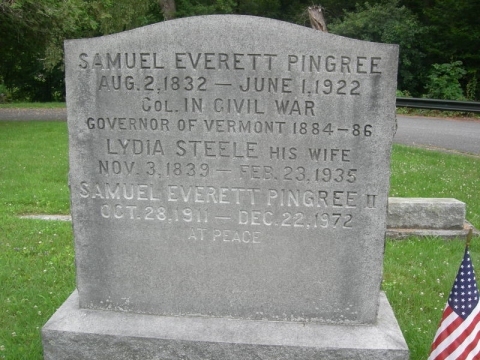 Hartford, VT. June 2 - Samuel E. Pingree, who was Vermont's oldest former governor, died at his home yesterday. He as also one of the state's military leaders in the Civil war, in which he rose from he ranks to command of the Eighth Vermont regiment. Mr. Pingree had been town clerk for more than half a century, states attorney for Windsor County, lieutenant governor from 1882 to 1884, governor from 1884 to 1886, and chairman of the state railway commission from the latter year to 1894. He was born in 1832 at Salisbury, N.H., Daniel Webster's birthplace. NARA File Number: R&P 293895. Photograph contributed by Robert Fernbacher. MOH marker courtesy of Ginny Gage & Mary Davis. Obituaries courtesy of Tom Boudreau, and Erik Hinckley.